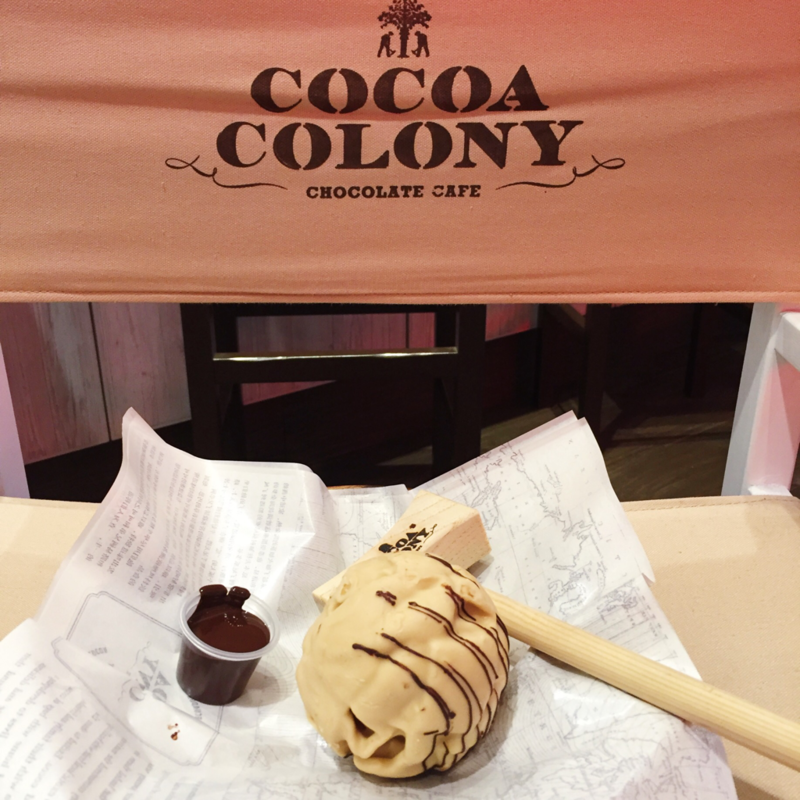 COCOA COLONY: A chocolate-lover's heaven. Thanks to my Grabz premium membership, I have been visiting more food outlets recently! Grabz premium members are entitled to so many extra privileges we already have as a normal Grabz member! 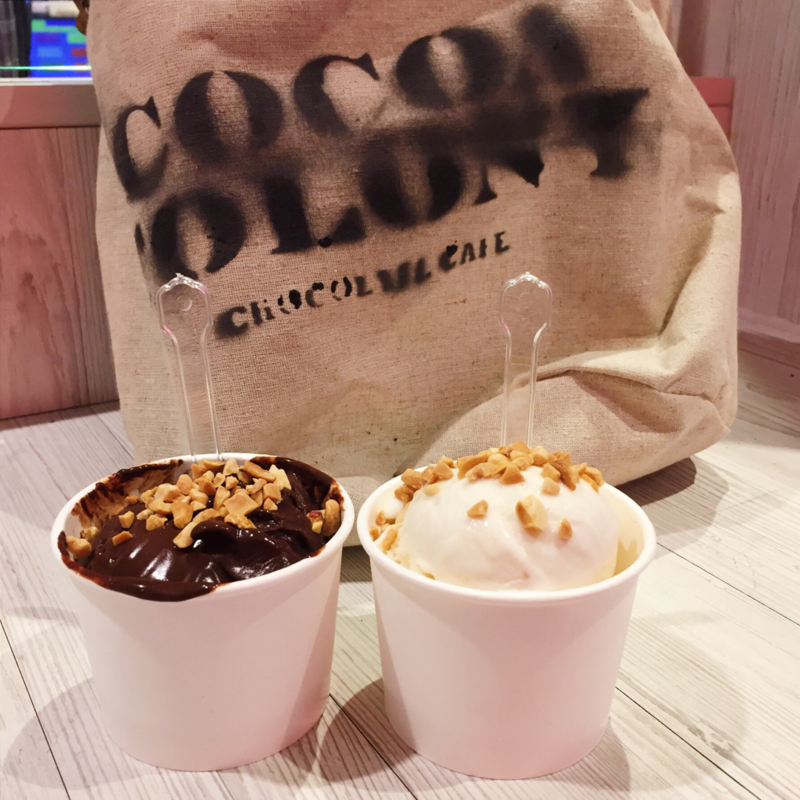 In this case, at Cocoa Colony, all members are entitled to 1-for-1 single scoop ice cream, while Grabz premium members are entitled to a 20% discount off all items! 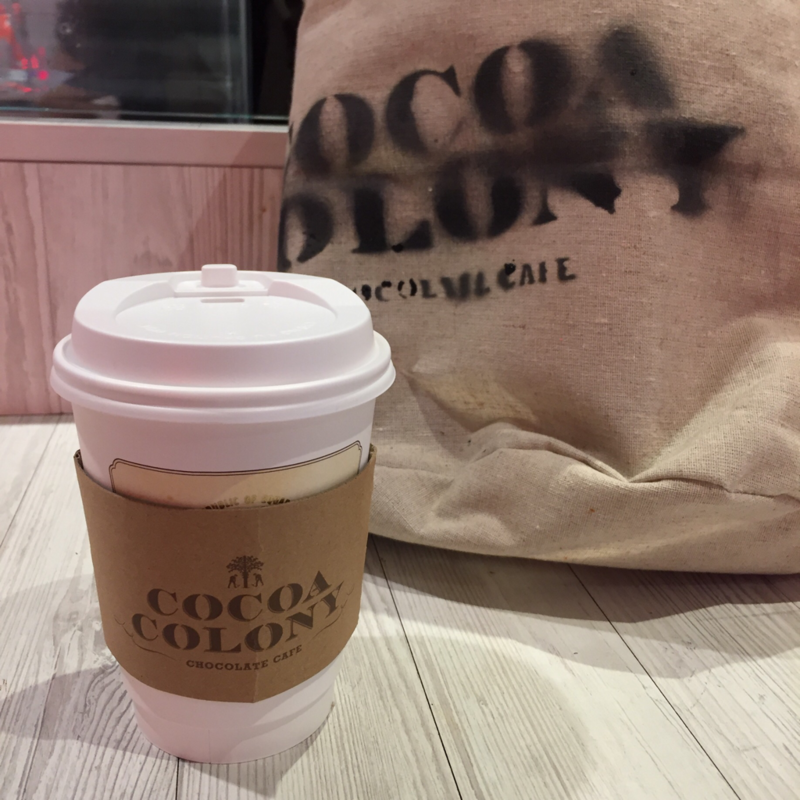 Knowing that I had these wonderful privileges, I had to visit Cocoa Colony. You can become a Grabz member simply by downloading the Grabz App from the App store for FREE. More detail on how to upgrade your membership to the premium membership at a discounted rate can be found here. 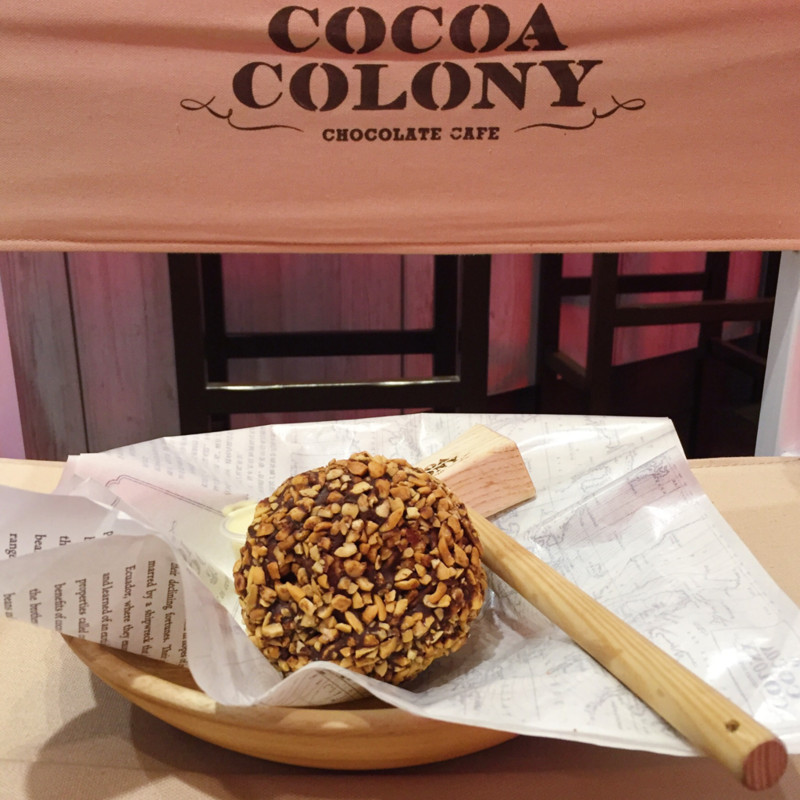 Founded in 2015, Cocoa Colony is a chocolate cafe serving handcrafted cocoa drinks and pastries made from the Cocoa Brothers' signature recipes. 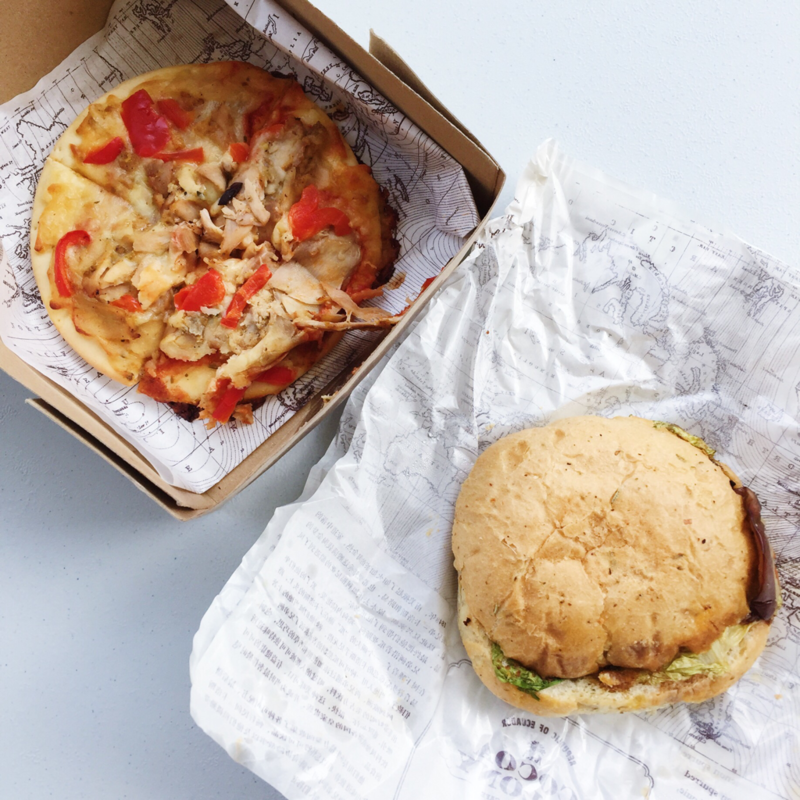 Their menu includes a wide range of food, with savoury meals like sandwiches and pasta to sweet endings like ice cream, cakes and their signature cocoa bolas. 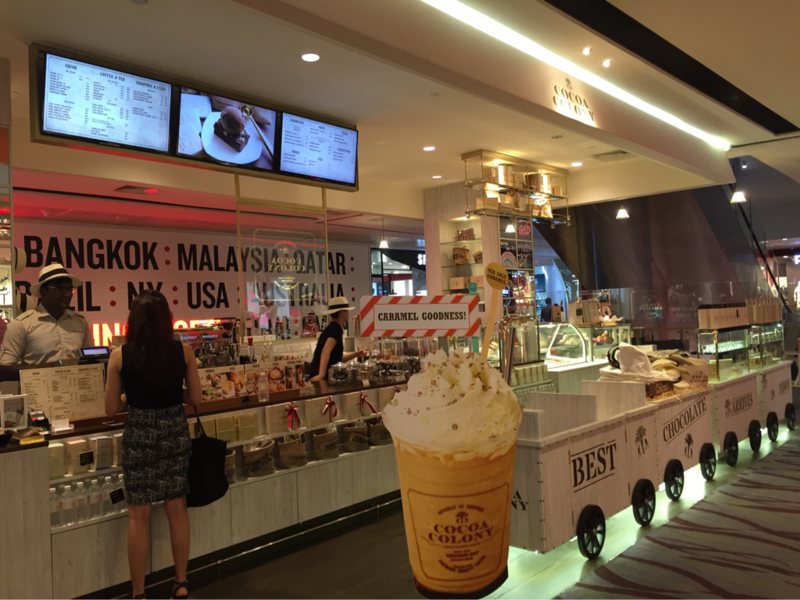 They have a few outlets in Singapore, at 313@Somerset, The Star Vista, City Square Mall, Great World City, Suntec City Mall, The Cathay and Shaw Centre. Considering that they only started this business this year, the number of outlets are pretty numerous. 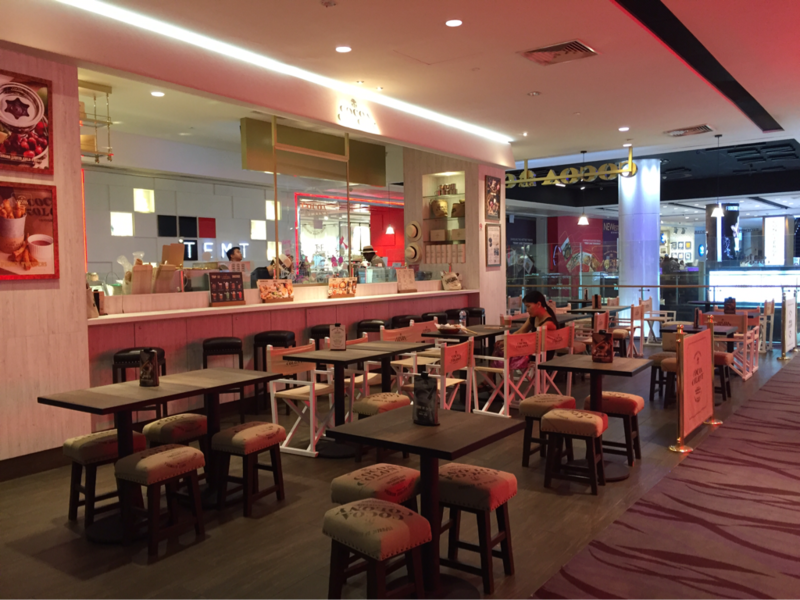 Previously, I have visited The Cathay outlet, which is pretty small but this time, the one I visited at 313@Somerset is pretty sprawling and has a much better ambience in my opinion! 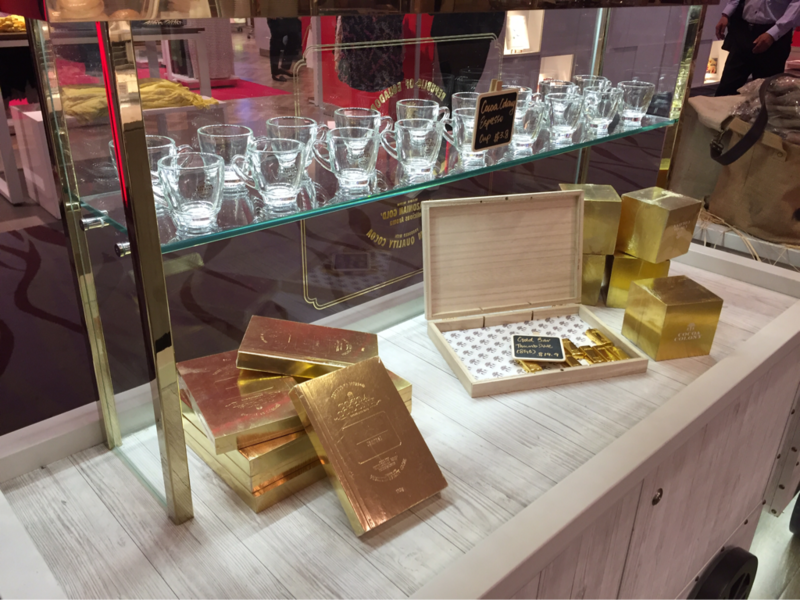 Quite a large counter, stocked with merchandise from chocolates to chocolate bar-shaped thumbdrives. The people working there are generally all really smiley and friendly, but sadly are pretty inefficient... I ordered food to takeaway and it took about 15 minutes to be prepared. The coffee we ordered also took more than 10 minutes to be delivered to us. Nice and spacious seating area! 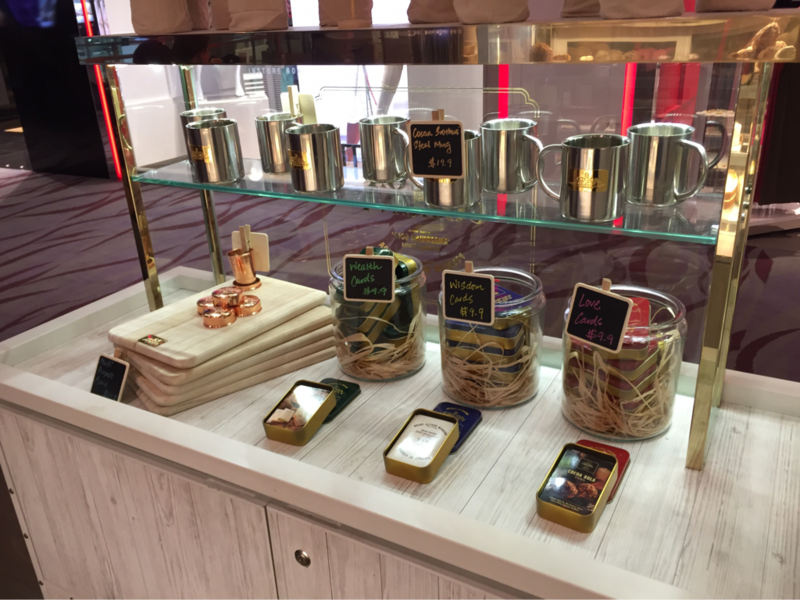 Cool merchandise like teapots, chopping boards, etc.! More merchandise like thumdrives and shot glasses! 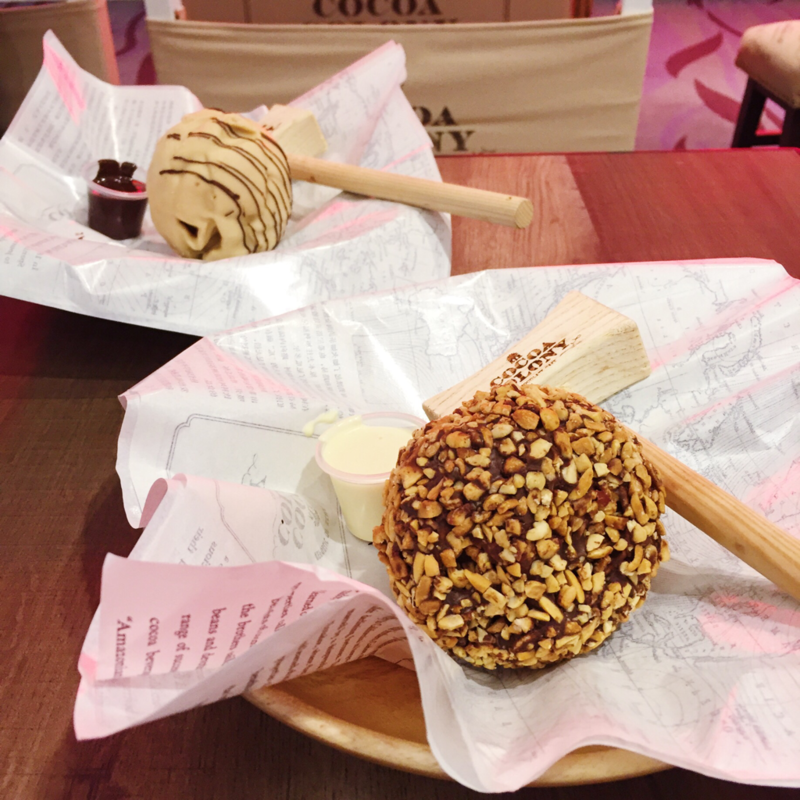 Dessert range part 1: cocoa bolas (dark chocolate peanut, peanut butter, strawberry, white chocolate, rainbow, white chocolate peanut, etc.) and cakes (carrot cakes, chocolate cakes, brownies, etc.)! Close up of the Cocoa bola and cakes! So pretty, don't you think? 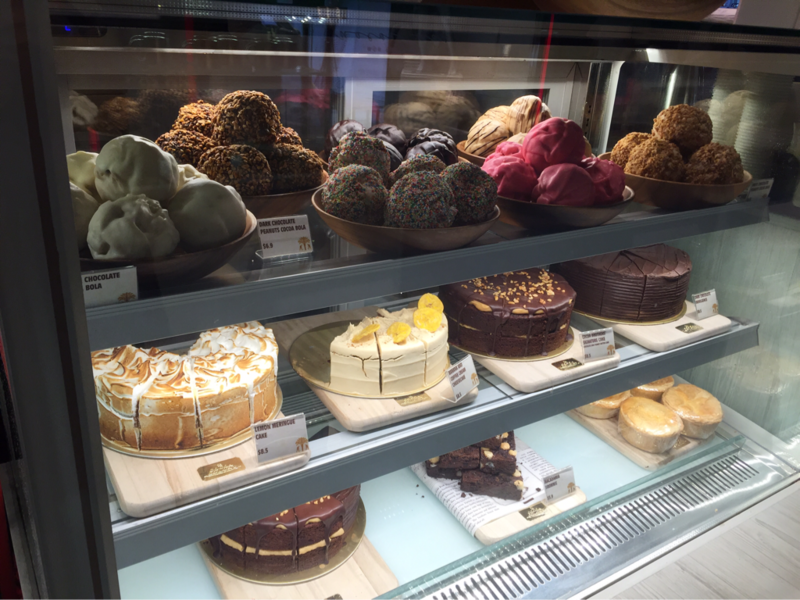 They have quite a wide range of cakes from more typical ones like their Lemon Merengue Cake and Dark Chocolate Indulgence, to very interesting ones, like their Banana and Coffee Cream Cheesecake and Cocoa Brother's Signature Cake (Chocolate & Peanut Butter Cake, which they have two of). They also have a macadamia brownie, which looks really amazing and I bet would taste amazing as well, especially if topped with a scoop of ice cream... YUM! Their cakes and brownies all look so tempting, but I have yet to try any of them! 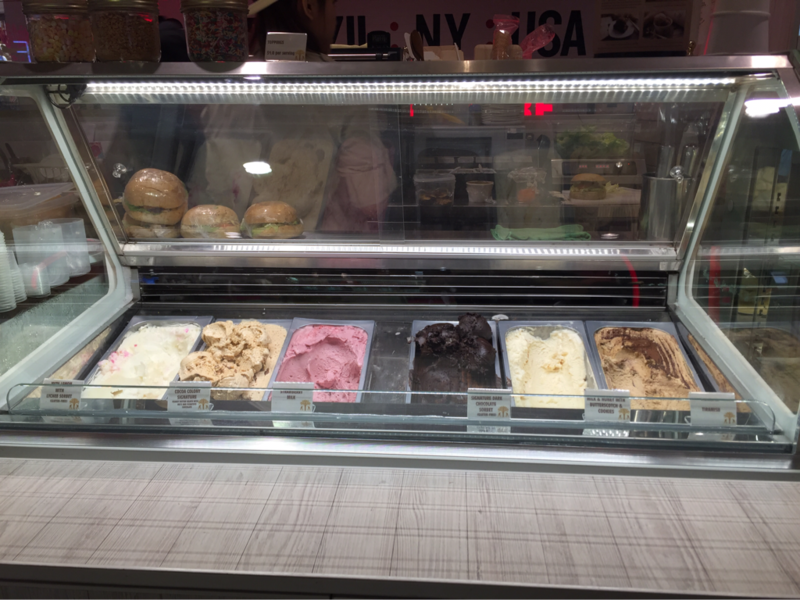 Dessert range part 2: ice cream with flavours like Yuzu Lemon with Lychee Sorbet, Cocoa Colony Signature (chocolate and peanut butter!, Strawberry Milk, Signature Dark Chocolate Sorbet, Milk & Honey with Butterscotch! Seems like the Cocoa Brothers really like chocolate and peanut isn't it? All their signatures have both of these two! So similar to my tastebuds, haha! This was on another day, when they had tiramisu! Actually took away some food back home for dinner because of the good discount I have thanks to Grabz! Didn't try this but from the looks of it, not very worth it! 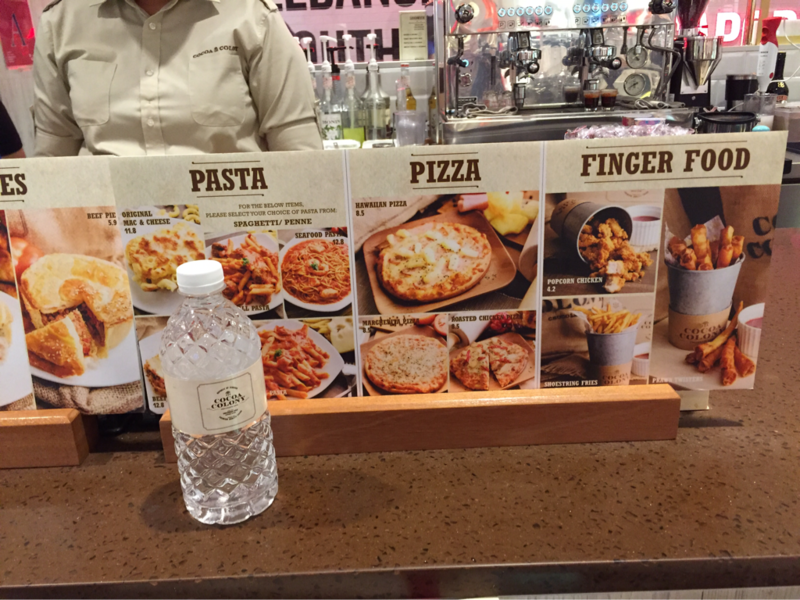 It's $8.50 but the size is like the size of a piece of pita bread... cafe price, I guess? My brother said that it was quite good though - a lot of toppings and cheese. He also said that the base is quite perfect as well, but he wouldn't pay $8.50 for it. 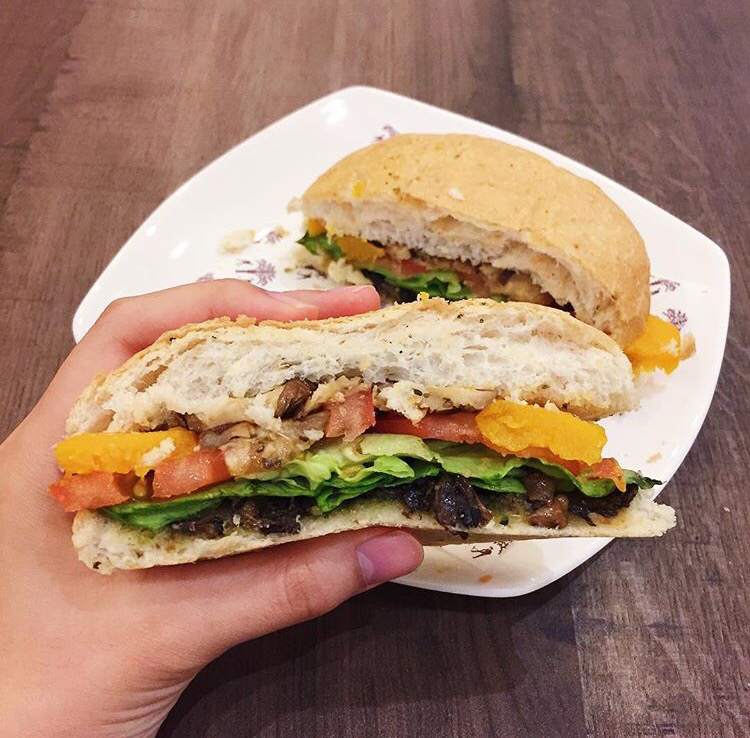 Got this roasted pumpkin & mushroom focaccia sandwich as well! 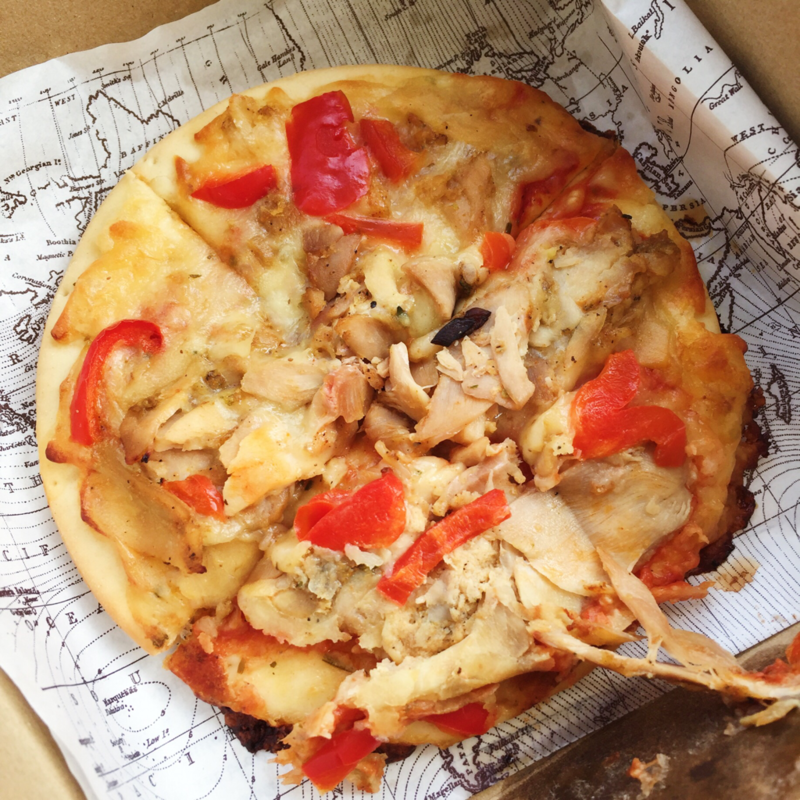 As you can see, the sandwich wasn't done very well, quite messy, flat and very little ingredients (unlike the pizza). Taste-wise, it is good though! Not bad, but definitely not worth the $7.50 either. Furthermore, I feel that the mushroom that is used is overly salty. 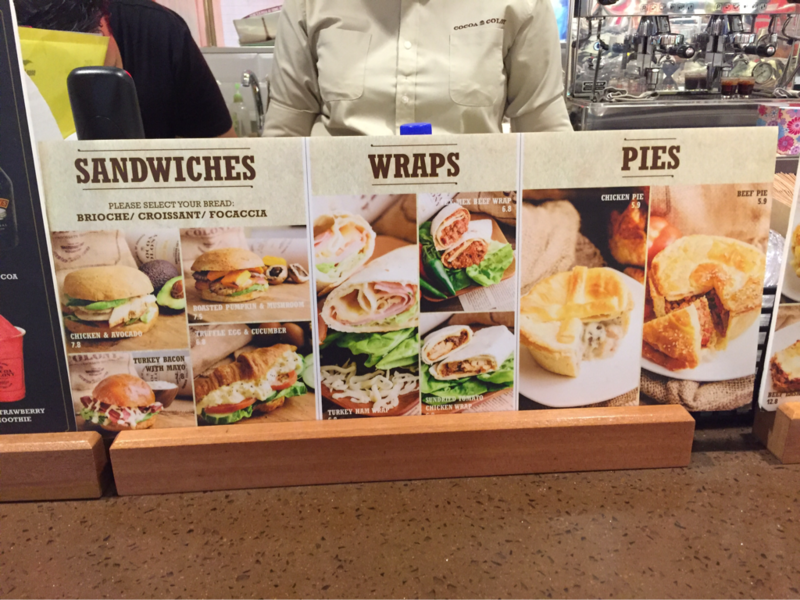 This is a picture of the same sandwich I had at the outlet at The Cathay. 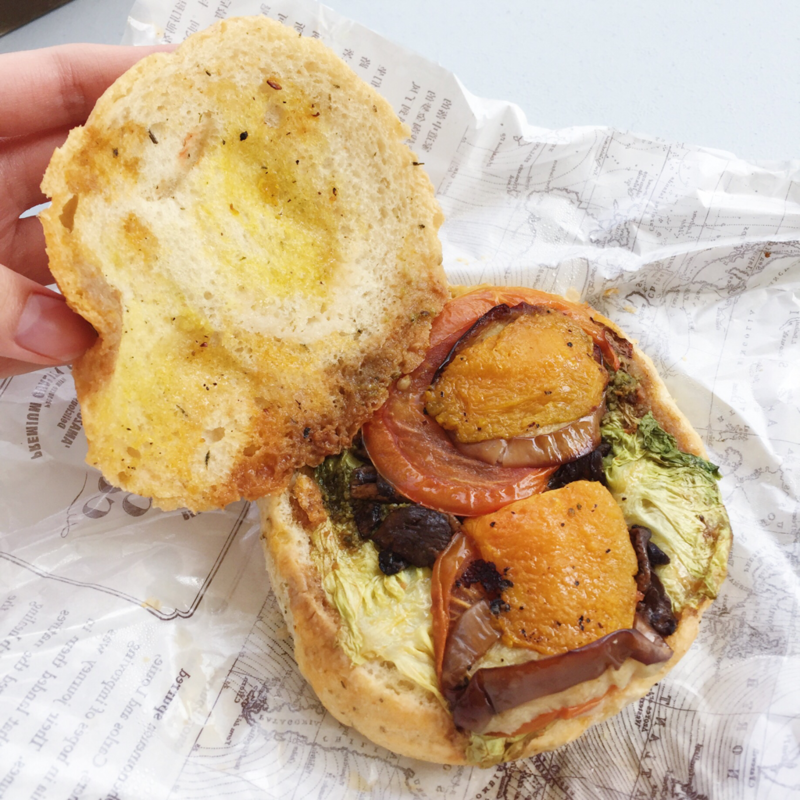 This one was slightly better, but I felt that they could have been more generous with the pumpkin and eggplants, considering that this is a veggie sandwich! 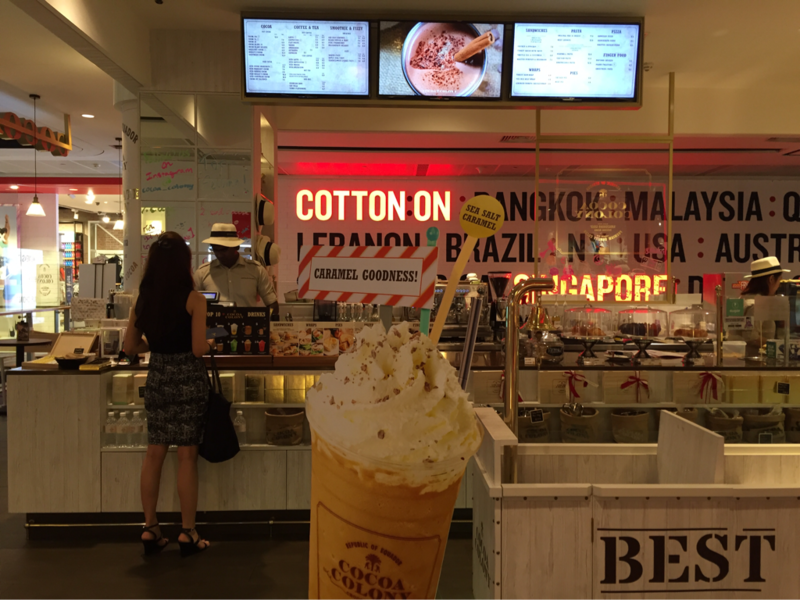 This was the last time at the outlet at The Cathay - my Cocoa Colony signature ice cream drizzled with Amazonian liquid gold I shared with mom! 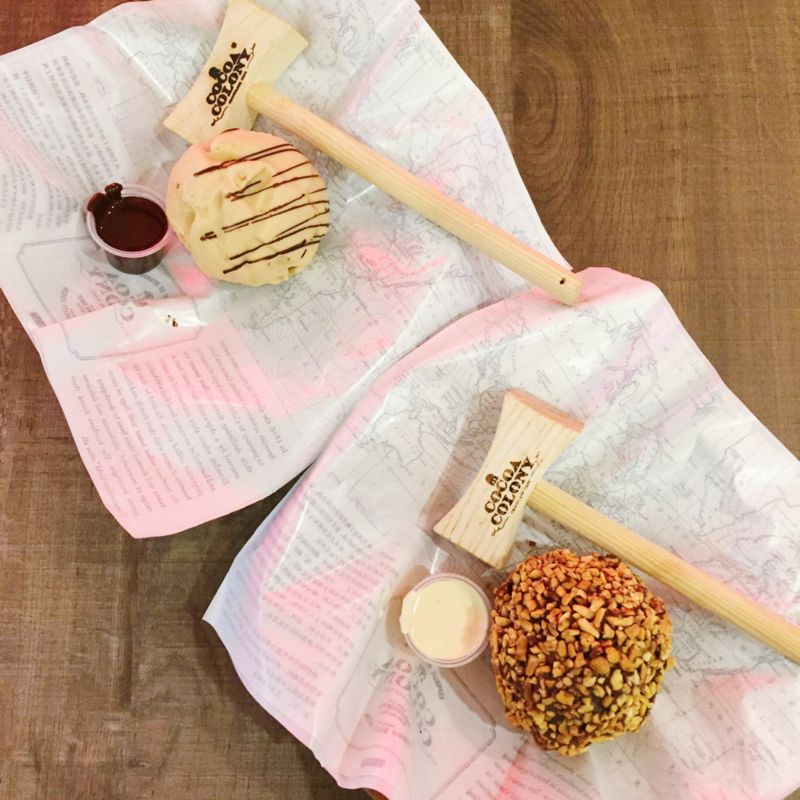 Basically, it is peanut butter gelato with nuts and signature chocolate topped with their special dark chocolate straight from the chocolate tap! 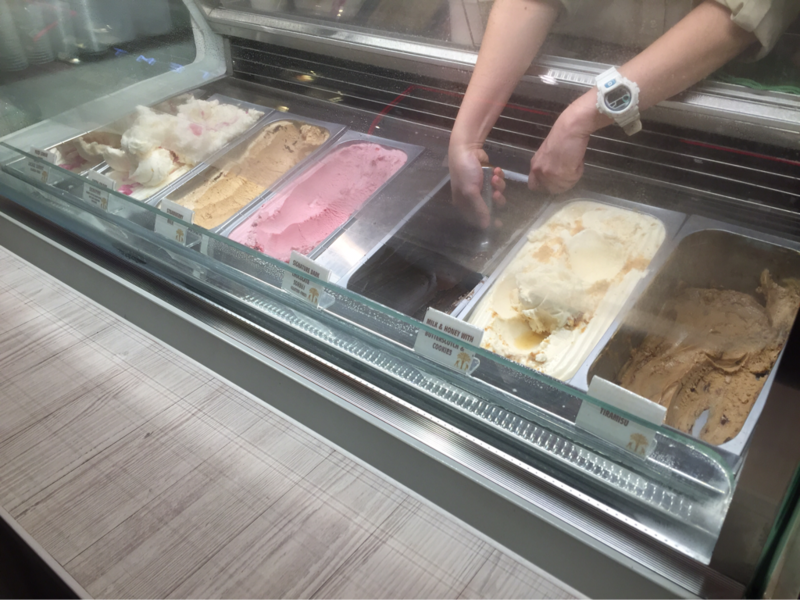 I love the peanut butter ice cream - it's so creamy and smooth, with a very distinct taste of peanut butter. It also isn't too sweet as well and had huge chunks of their signature chocolate hidden inside! 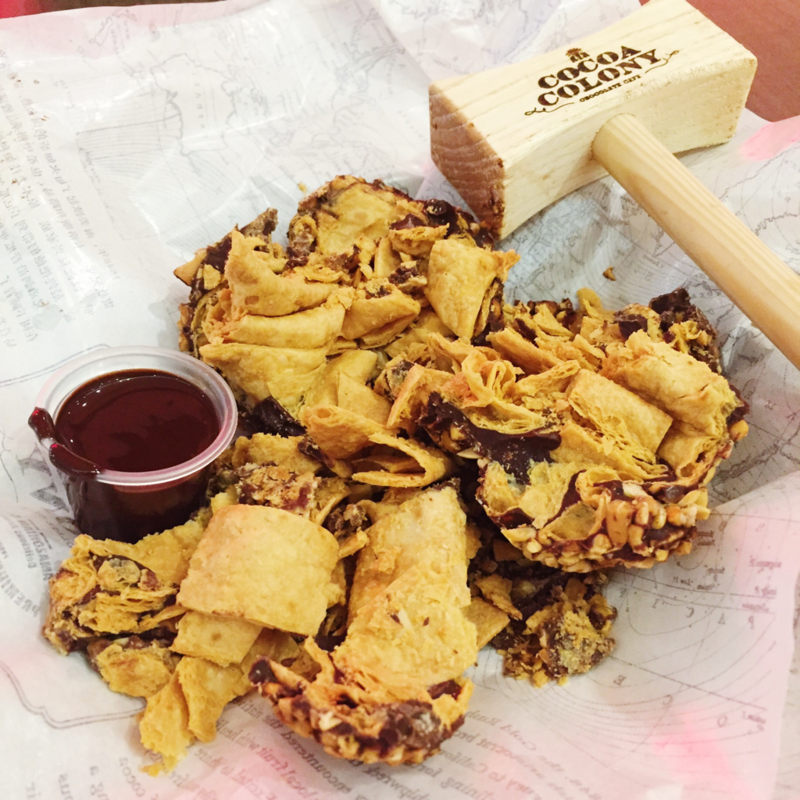 Definitely a peanut butter and chocolate lover's dream come through. As for their dark chocolate, I love it so much as well! It's so rich and decadent... just that if only they could prevent it from solidifying upon contact with the ice cream that would be great. 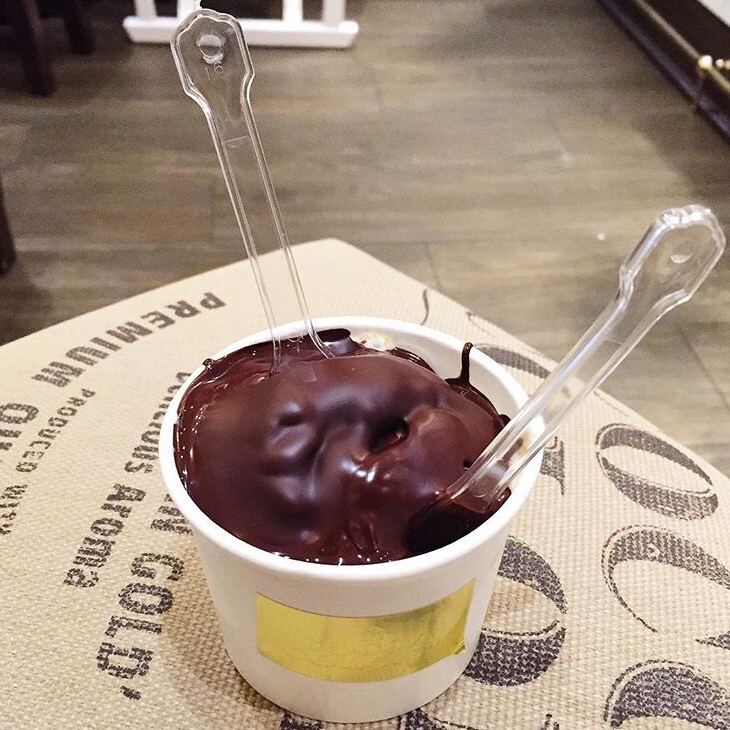 By the time I started eating my ice cream, the dark chocolate had formed a shell around the ice cream, preventing me from being able to eat the ice cream together with the dark chocolate (which is a pretty sad situation fyi). This was another time when I came with my friend! I had their signature dark chocolate sorbet (gluten-free, by the way, so is the other yuzu lemon & lychee sorbet) with peanuts while she had the milk & honey with butterscotch topped with peanuts as well! My dark chocolate sorbet was AMAZING. I mean, it's a sorbet so I assume that no milk was added to it right? Then how do they make it so creamy and thick and luscious it's like not even ice cream any more - it's almost like cold unsolidified melted chocolate. I LOVE IT, GUYS. It's surprising how I love this even more than the peanut butter gelato though I love peanut butter so much more than chocolate. Kinda speaks a lot about how good it is. I didn't try hers, but she kept rattling on how good this was and how this was the best ice cream she had ever had and how she wouldn't want to eat any other ice creams ever again (and how she was going to go broke if she had this everyday but okay, this is not the point). I feel that other than the Amazonian liquid gold, this is one of the other items that best represent Cocoa Colony. 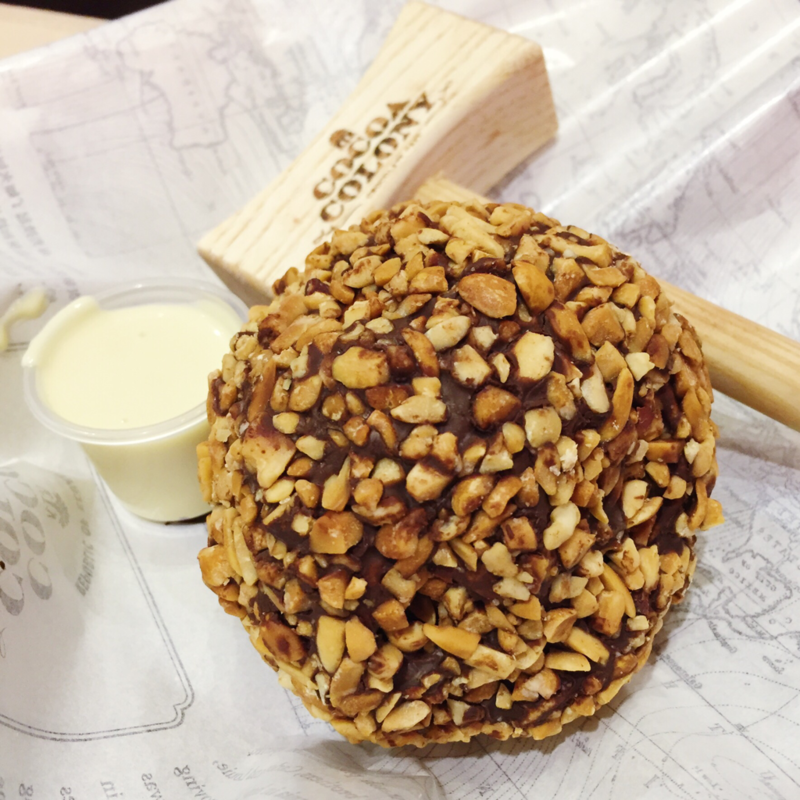 I have never seen such a dessert anywhere else in Singapore, whereby a hammer is used to break open a ball of chocolate to reveal a biscuit-like snack within. Not only is this stress-relieving and fun, it is also said to bring good luck (for the superstitious haha but I'm not too sure how this works). 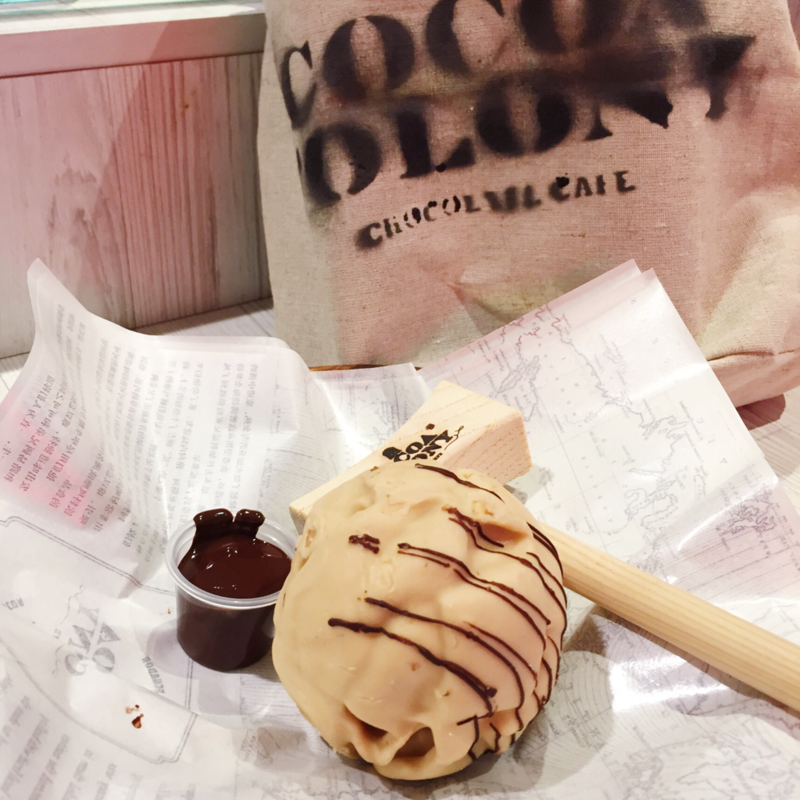 This is the dark chocolate peanut with their liquid white chocolate! I love the combination of chocolate and nuts as I feel that the richness and crunchiness compliment each other very well! I also like the temperature by which the Cocoa bolas are kept at as it is just perfect for the chocolate to set but also easy to shatter when bashed with the hammer. The dark chocolate used is probably the same as that of the Amazonian liquid gold, which I emphasise again, is really really delicious. I like the crispness of the biscuit-cookie-like thing! It tastes pretty buttery and flaky but it is not sweet or salty in any way! I think this makes it compliment the sweet coating as well as the chocolate drizzle very well. It's a perfect snack for a few people to share over tea while catching up (but my mom and I are pigs, so). 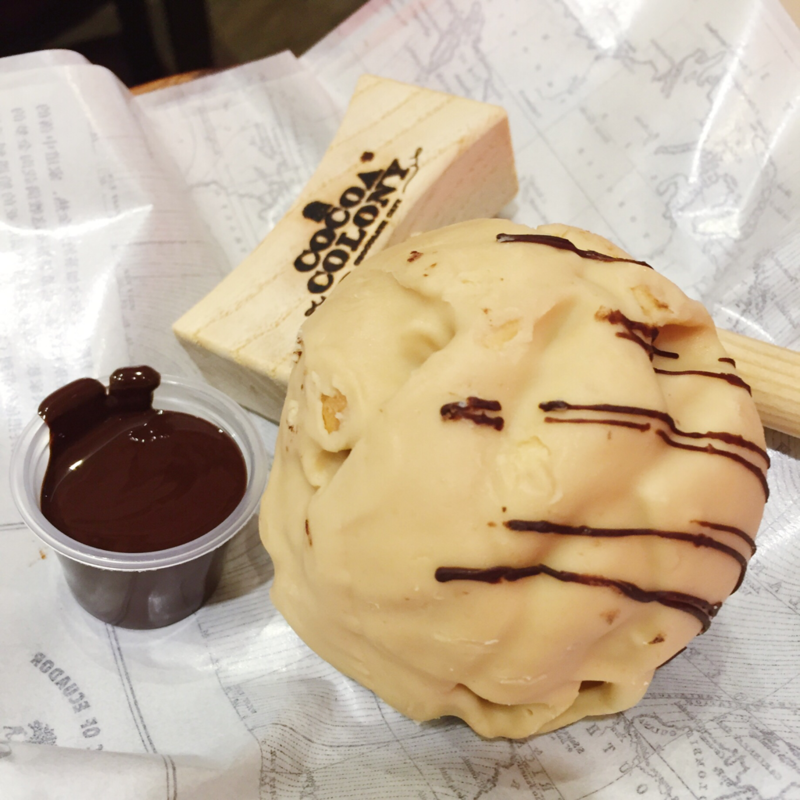 This was the peanut butter cocoa bola we ordered (and brought home)! The smell of peanut butter was very evident (which obviously, the peanut butter lover in me ADORES), which is really good! Inside, it's exactly the same as the dark chocolate peanut. However, I prefer the dark chocolate peanut (another surprise!) as I feel that the dark chocolate really goes very well with the biscuit thingies. Actually, when I packed this home, I melted some peanut butter to drizzle over the shards as well and it was DIVINE. 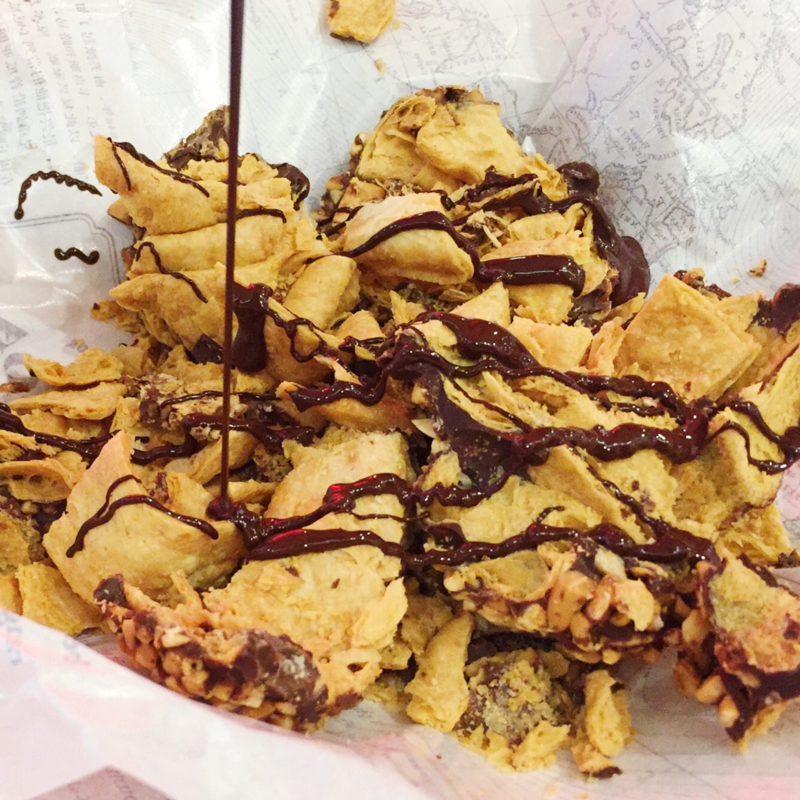 But still, surprisingly, not as good as the dark chocolate peanut with dark chocolate drizzle! SHOCKING! Mom had this latte, which she also had the other time! She really likes the coffee here as she says that it's really creamy with the perfect strongness of the coffee taste. Well, I'm not much of a coffee-drinker so I can't tell the difference between a good and a bad one, but my mom could probably be crowned as a coffee critic, so you'll have to trust her on this. 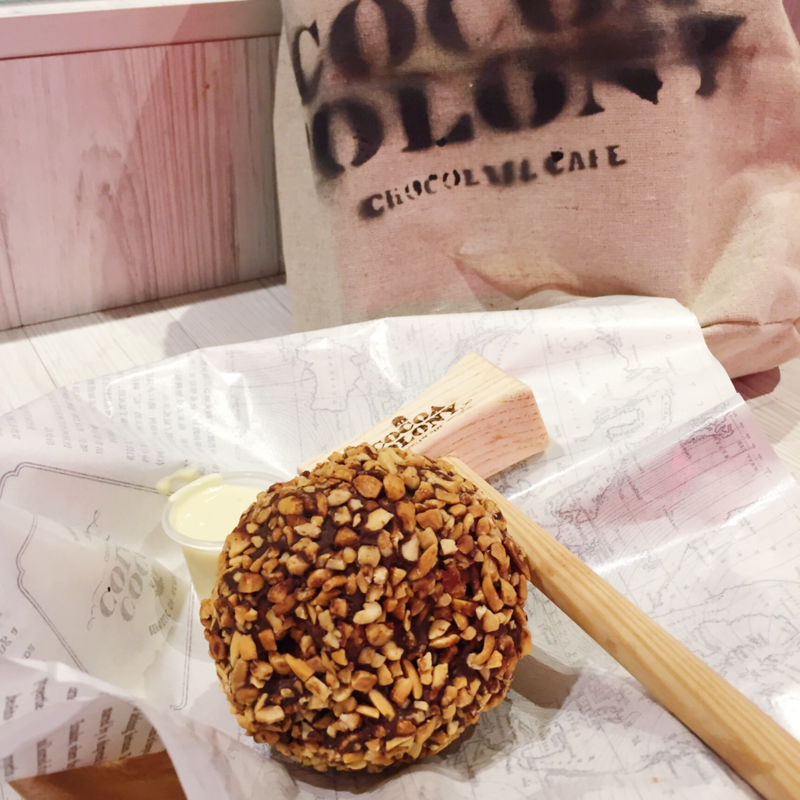 Overall, I thinks that Cocoa Colony has a really fresh and unique concept with signatures like their Amazonian liquid gold and Cocoa bolas that all chocolate lovers will go crazy over. 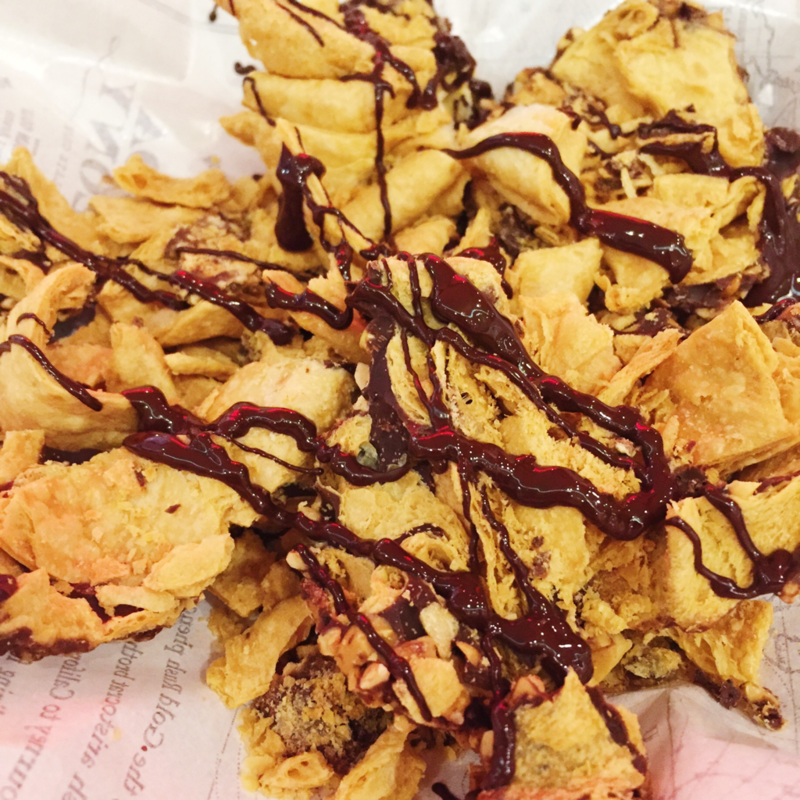 However, if you aren't a chocolate lover, don't fret! 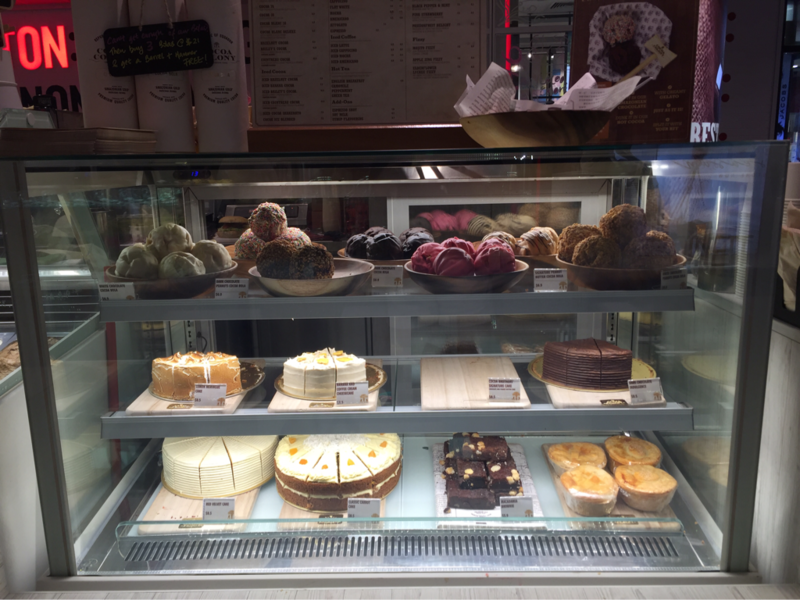 They also have other options, like their refreshing sorbets and gelatos, their delicious-looking lemon merengue cake, as well as their savoury menu! 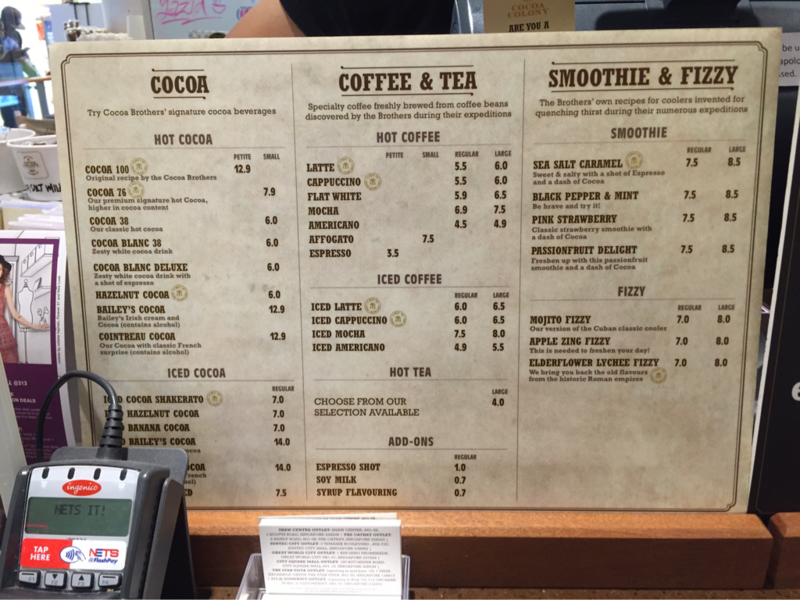 I commend Cocoa Colony's efforts on coming up with a food menu for people who don't appreciate desserts that much but just want a quick bite, but I feel that they are quite lacking compared to their desserts!) and could be improved upon. They could also definitely work on their efficiency to serve their food faster, I feel. 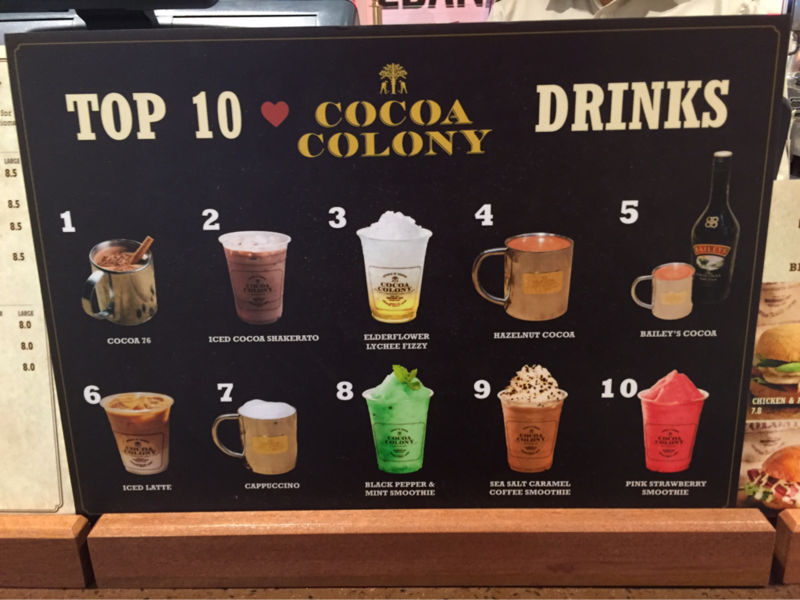 If you ever come to Cocoa Colony (which I recommend you should!) I would definitely recommend their dark chocolate sorbet drizzled with their Amazonian liquid gold or their dark chocolate peanut Cocoa bola to vent all your anger together with some good company!